Discussion in 'General' started by NeilBlanchard, Nov 12, 2018. I got my better.bike PEBL about 2 1/2 weeks ago, and so far, I have commuted 6 times in it, and ridden it on at least 4 other occasions. I have ridden about 260 miles, and most of the commutes are on two rail trails; which are really great. On roads, it becomes a challenge to avoid sunken storm drains, and potholes, and cracked pavement. My PEBL has the largest available battery, which is 64Ah, and is rated to go as far as 100 miles. 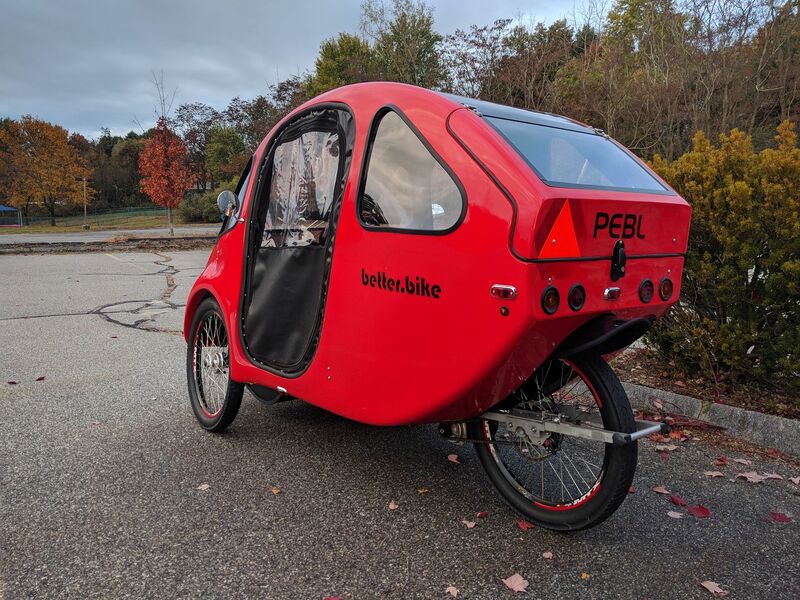 The PEBL is an electric / pedal hybrid - primarily you use the 750w / 1HP electric motor. It is electronically limited to a bit under 20MPH, and so it is classified as a bicycle. 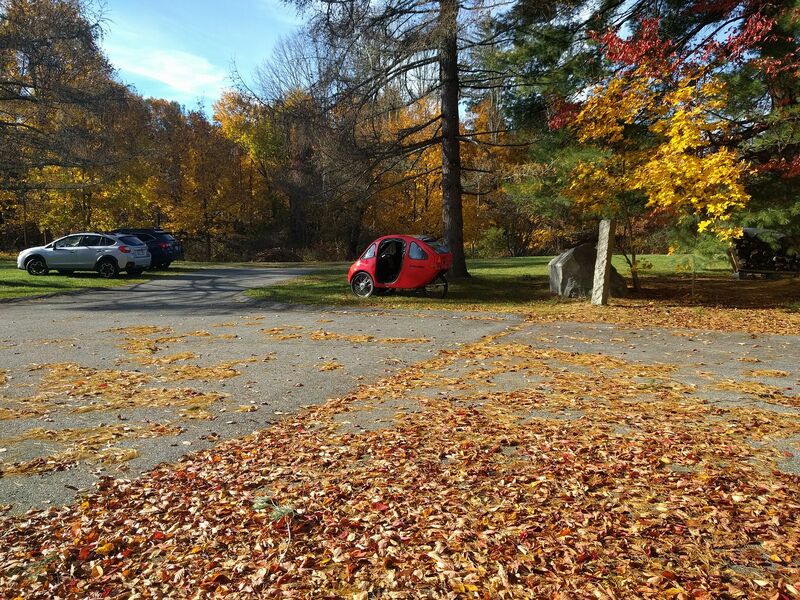 Technically, it is an enclosed recumbent reverse trike - and it is legal to use anywhere a bicycle is used. The 64Ah battery is nominally 48V, and that means it is ~3kWh. If you ride it the 100 miles (which would be flat ground and optimal conditions), then that would be over 1,100MPGe. In real life, with hills and wind, I think 75-80 miles would be a good distance to expect. I have ridden it about 58 miles on two different days, and I used about 2/3rds the charge. The lowest voltage I have seen is 46.2 (it bottoms out at 42V and maxes at 54.5V), and this is not linear, so I am making a guess. It is not a stealth vehicle - the motor is a DC unit, and it has a reduction gear - which is making most of the noise you hear. 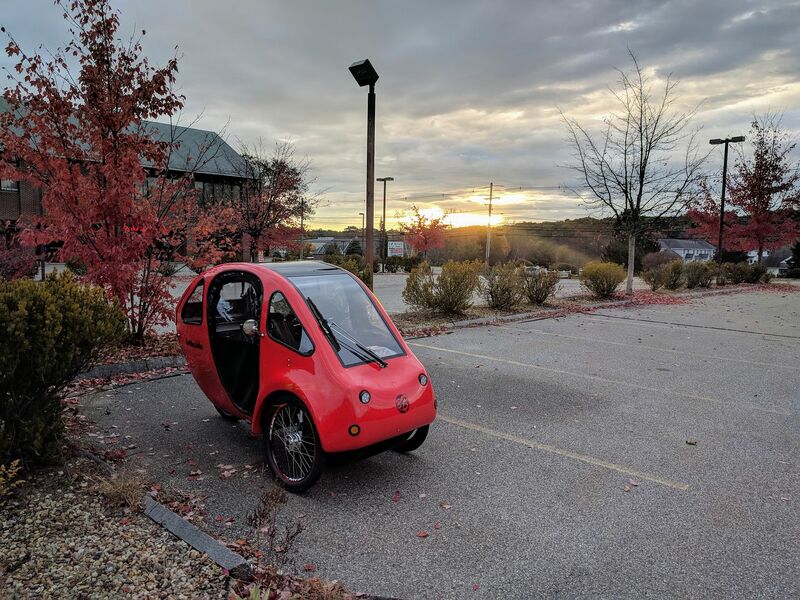 The PEBL with the base 16Ah (~25 mile) battery weighs 210 pounds, so mine is probably closer to 240 (with optional larger battery, wider tires, wiper). xcel, BillLin and TheStepChild like this. Neil , that is so cool ! Thanks Edwin! It is a total rethinking of personal transportation, and it is a long way from perfect, but it has a lot going for it. NeilBlanchard and EdwinTheMagnificent like this.